READ FOR PIXELS CAMPAIGN ANNOUNCEMENT: READY? SET… $10,000 STRETCH GOAL! We are excited to announce that we have smashed our initial $5,000 (5,000 pixels) fundraising goal for the Read For Pixels campaign within the first 18 days of the campaign! Thanks to 27 generous donors to date, we are currently at $5,215 (5,215 pixels) raised. With just 2 weeks of the campaign left, we’re now working towards our $10,000 (10,000 pixels) stretch goal. This is a first attempt for us because we have never reached the $10,000 fundraising mark in any of the previous Read For Pixels campaign. His efforts went viral and he decided to put the popularity of his posing to a good cause by doing custom cover poses to raise over $15,000 for a charity of his choice. 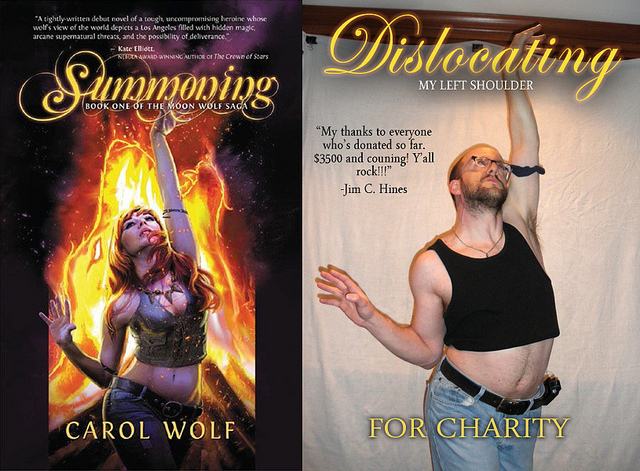 All donors who contribute to the campaign between now and October 19th 2015 will be emailed a link to vote for one of three book cover poses for Jim to recreate. The cover with the most votes will be the one that Jim will duplicate “no matter what the cost in pain or chiropractic bills” once $10,000 has been reached. 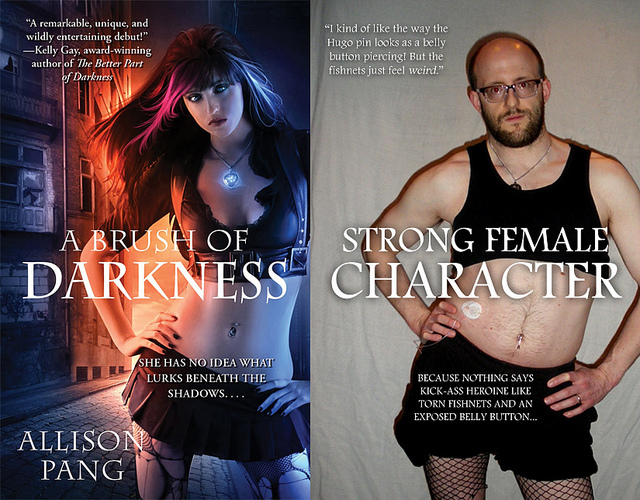 Added bonus: If we gallop past $10,000 and reach $15,000 by or before October 19th 2015, we’ll open the remaining two cover poses for voting and Jim will do a SECOND custom gender-flipped cover pose. The Pixel Project and international bestselling YA author Kimberly Derting will be holding an Indiegogo referral contest with the grand prize of becoming a minor character in Kimberly’s next book. Donate at least $5.00 (the cost of a fancy cup of coffee) to the campaign by clicking on the special perk listing that we’ve set up so we know they have entered the contest. Share the Read For Pixels (Fall 2015) fundraising page with their social media networks using the unique custom link to the page that Indiegogo generates for each Indiegogo registered donor. Encourage as many friends and family as possible to donate at least $5.00 when they visit the Read For Pixels Indiegogo page using the custom link. The contestant whose referrals amass the biggest amount of donations by the time the fundraiser closes at 11.59pm PST, October 19th 2015 will be immortalised as a minor character in Kimberly’s next book. For more details on how to take part, visit the contest page here. Option #3: Donate For Goodies! New York Times bestselling author Meg Cabot has generously released a bonus goodie bundle featuring a signed set of her MEDIATOR series and an exclusive excerpt from the upcoming MEDIATOR book, REMEMBRANCE. Special Steampunk YA book bundles featuring signed books by New York Times bestselling authors Andrea Cremer and Colleen Gleason. Give generously and the authors will send you your goodies directly! Whether you want to see Jim’s latest custom cover pose or become a minor character in Kimberly’s next book or just to get some really cool goodies, visit http://is.gd/R4PIndiegogo2015 and donate to help us get to $10,000. Please give generously because in the fight to end violence against women: Every dollar counts. Every pixel counts. Every voice counts. The Pixel Project’s “Read For Pixels” campaign features live Google Hangouts with award-winning bestselling authors in support of the Celebrity Male Role Model Pixel Reveal campaign (http://reveal.thepixelproject.net), which aims to raise US$1 million in aid of The Pixel Project and the USA’s National Coalition Against Domestic Violence (www.ncadv.org). Over 40 authors have participated in the campaign including Charlaine Harris, Guy Gavriel Kay, Jennifer L. Armentrout, Jonathan Maberry, Joe Hill, Jasper Fforde, Lauren Beukes, Leigh Bardugo, Meg Cabot, Rick Yancey, and Tad Williams.